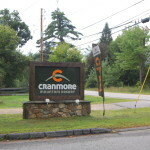 Cranmore Mountain Resort (Summer): North Conway, NH - Take a day trip! Hiking: Cranmore is a fairly modest ski area and the hike to the hop is fairly easy as well. Scenic Chairlift Rides: Cranmore runs scenic rides on their main chairlift throughout the spring, summer and fall. Mountain Coaster: Cranmore has a lift-served mountain coaster which is basically a metal track with carts running down one of the winter ski trails. Summer Tubing: There is a summer tubing course with plastic covering replacing the snow tracks in the winter. Zip Line: Cranmore has a large and fully-accessible 700 foot zipline named the Soaring Eagle. 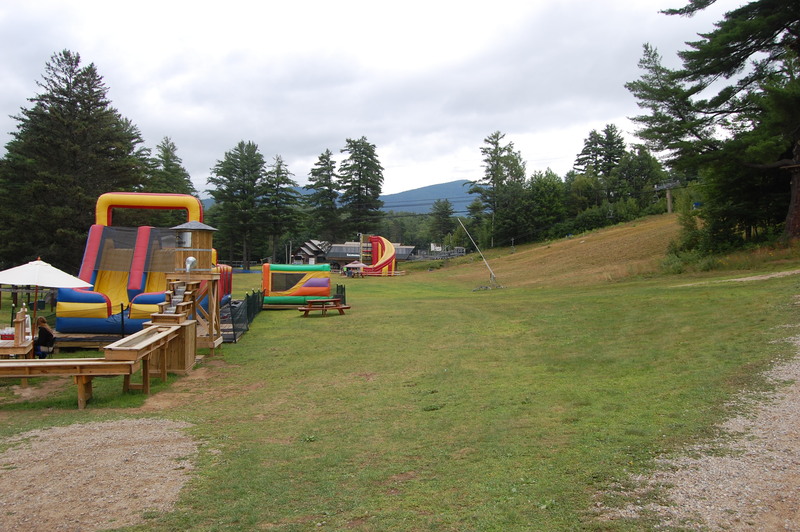 Bouncey House: Cranmore has an classic Bounce house that is set up as part of their summer adventure park. Climbable Net Course: This course, known as Spider Mountain, is a series of nets that you can climb. There is a minimum and maximum weight of 40 and 250 lbs respectively. Climbing Wall: Cranmore has a sizeable outdoor climbing wall. 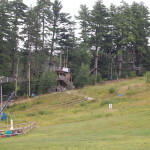 Mountain obstacle courses: Cranmore boasts several mountain courses of varying difficulty. Cannon’s available facilities include a full cafeteria, restrooms and a shop as part of the base lodge. There is also room for special events. For more information about what they have available, pricing and schedules/hours go check out their website. Cannon is located just blocks from Downtown North Conway and you can even see the trails from most of the town. It’s only blocks from Route 16 and there are signs from that main highway to reach it. The address for GPS is 1 Skimobile Road; Conway, NH 03860.